Hurry Up, We Are Dying! What is the purpose of a antiwomen world? hurry up, we are dying here! Omg.. knowing how you started poetry makes this so beautiful. This is amazing. This is so beatiful, just had a moment of silence appreciating this beautiful poetry. Post more poems please. Keep up the good work,sir! Sisonkepapu is a dynamic personality. Close observers of his work claim that he has a provocative poetic skill and has established himself as a prominent poetic voice within the Eastern Cape. Being a professor of literature, his focus extends beyond the academy and community, and has a penchant for critical engagement through writing and development of budding writers like himself. His poem was added into the syllabus for a Poetry course at NMMU in 2014 and 2015, and offered his insights into the critical revelation in the piece, and the art of poetic writing and literary interpretation in the Poetry lectures. 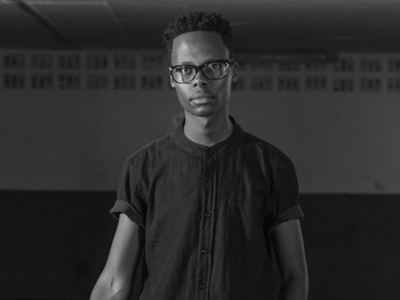 The Resonance Poetry Movement, a poetry society he co-founded, facilitates creative writing workshops and has published an anthology, hosted local and International acts such as Ian Kamau and Luka Lesson.